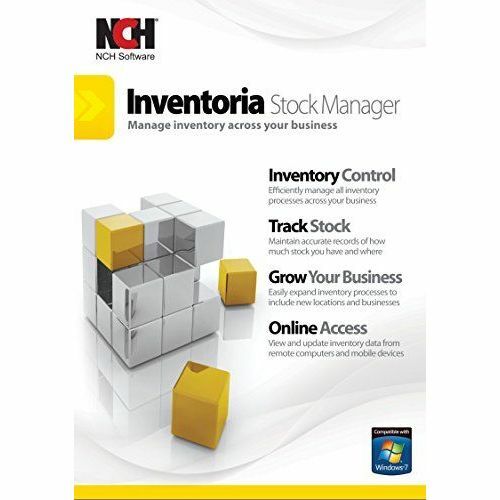 Inventoria software features a simple, easy to use interface. Monitor your stock levels with easy to create reports. Set up a "Just in Time" inventory management controls. Transfer stock between locations with a few clicks. Maintain your supplier database. Group common items into categories for easy stock management. Create purchase orders and email them directly to your vendors. Set-up recurring orders and have them sent automatically. Set ideal quantity levels and warnings when stock has dropped below these levels. Have multiple users access the data via a web interface with just a single installation. Restrict user access and powers (when used with web interface). Manage multiple company profiles within the application. MAPI or SMTP email send settings include Secure Socket Layer (SSL). Assign items to Balance Sheet or Pofit/Loss accounts.